Although our main Magna Carta Celebratory activities do not start until 2015, we are quietly launching our Magna Carta Poetry Competition for the children/schools of the Cartmel Peninsula next month, September 2014. A distinguished judging panel is now in place and the winners will be announced in Spring 2015. We are delighted that The Wordsworth Trust (Dove Cottage,Grasmere) has chosen to work alongside us in this exciting project! Our next contribution to the celebrations around the country next June will be a presentation, in Cartmel Priory Church, by an eminent personality and historian, who will highlight the involvement of William Marshal, founder of this beautiful and well-loved Church, in the first and second Charters. 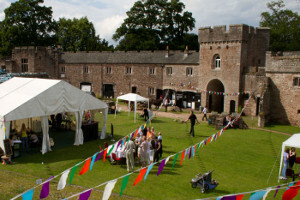 Our main celebrations will occur in late September, 2015, and centre on a 5 day Flower Festival and other entertainment, including Son et Lumiere and several concerts, within and around the Cartmel Priory Church. Disastrous wars early in his reign left King John short of money. One way to raise it was to allow a town’s citizens to buy the right to rule themselves. 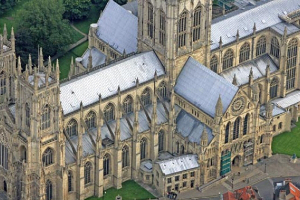 In 1212 the King granted a charter to the citizens of York allowing them, rather than his representative, to collect and pay taxes to the Crown, to hold their own courts and to appoint a mayor. 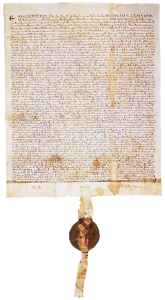 The charter proved to be a precursor of Magna Carta. 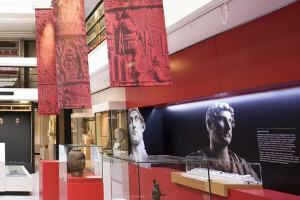 An exhibition in the Medieval Gallery of the Yorkshire Museum marks the 800th anniversary of York’s independence. 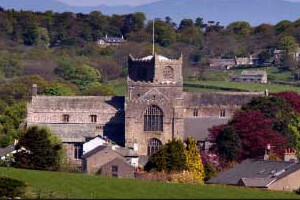 William the Marshal established the Priory Church of St. Mary and St. Michael in Cartmel, Cumbria, in 1189. Marshal was the leading mediator in the showdown with King John. He later became Lord Regent of England during Henry III’s childhood and was central to the review of Magna Carta in 1217.